In 2011 the New Orford String Quartet released its debut album of the final quartets of Schubert and Beethoven on Bridge Records, to international acclaim. Hailed as one of the top CDs of 2011 by La Presse and CBC In Concert, and nominated for a JUNO Award in 2012, critics have described the recording as a �performance of true greatness and compelling intensity� (Audio Video Club of Atlanta), �flawless...a match made in heave!� (Classical Music Sentinel) and �nothing short of electrifying...listen and weep.� (The Toronto Star). 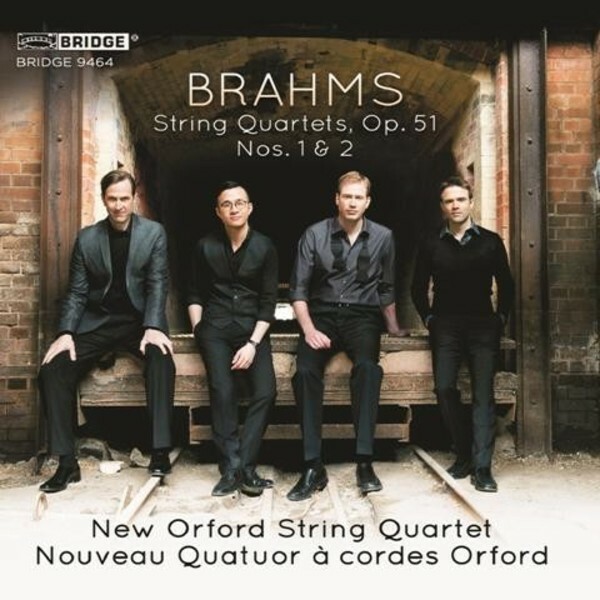 The New Orford's recording of Brahms' great op.51 quartets is no less ravishing than their Schubert/Beethoven, and charts the steady development of the ensemble into one of the leading quartets of our era. This is playing of remarkable depth and insight, casting new light on two of Brahms' greatest masterpieces.